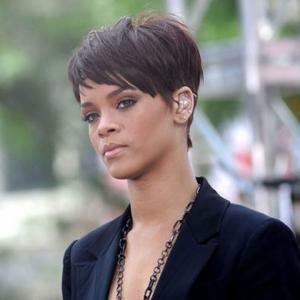 Some people may have negative opinions of Mr. Brown because of his unexpected case of domestic abuse, with former girlfriend Rihanna in Feb2009. However, if you are one of his loyal fans and have a positive outlook on the 20-year-old, multi-talented singer, you would understand that he is living with his “demons” and that he is trying to move on with his life. I mean the man turned himself in and plead guilty. I’m not saying that what he did is something to look over. I am a female fan myself (since his 1st album) and to see the guy I’ve been going crazy over do that to Rihanna hurts me a lot. For months, me and my friend Tisha, whose just as crazy for CB as I am, had musical boycott against him. We didn’t listen to him, we didn’t watch him, we tried to not like him, we criticized, sympathized, and we made fun him ( “You better stop before I go CB on you”). We especially criticized his initial apology to Rihanna over the internet; which looked rehearsed as hell and insincere. On his Dec2009 interview on 20/20 he says that the apology was sincere but it projected every one of those who was advising him after the incident. I’m not saying that I don’t believe…eventually I did…and I honestly think that he still loves her because of the way his face lit up when recalled playing “Changed Man” to Rihanna and her crying about [despite her denying it in her 20/20 interview]. Even Rihanna said that she still loves him, her first love, but will never… ever…. in her God forsaking life go back to Chris Brown (no, she didn’t say it exactly like that but it’s that clear that she meant it that way. LOL :). If you couldn’t tell I’m also a fan of Rihanna and I can’t wait until I get my hands on her latest album. I was seriously hating on Rihanna for hooking up with CB but I honestly thought they were a cute couple. To be each others’ first love and to be torn apart in such violent way must way down on the hearts of the people of the heart. I saw it as a kind of fairytale, their love that is. A princess and prince caught up in the music industry, filled with adults, found each other, fell in love…but there goes the happy ending, Feb2009. A tragic ending for CB and Rihanna and everybody’s confused as hell as to what happened. Since the incident both Rihanna & Chris Brown have been pretty tip-lipped about what happened. It wasn’t until recently (near their releases of their album) that they opened up about that night but they said a whole bunch of nothing. Honestly, I Don’t Care. I don’t. M.O.L.D. (mouth open like damn) me all you want but the celebs personal life is too much to take in. I have problems of own too you know? I’m not beating people up or playing Rus sian roulette but damn, Really? And another thing, why don’t we just support the “artist’s work”? because we don’t know these people, despite what we may want to think. People are making this into a big deal without purpose. I don’t see Rihanna on promo’s supporting the fight against domestic violence (If she is “where she at?”). For Chris, I would love to see recordings of him in the anger management classes, participating, confessing, and really show us him shame rather than just understanding it. In other words, I think this over publicizing of this is without reason and put a lot exposer on these people (maybe that’s why Charlie Sheen did it? nah!). But seriously, I’m not attacking these people nor am I being callous. I just pray that one day that both their pain because only God can save them from it. With much love to ultimately both artist, let God Bless you on your career. P.S. So how can we say mean things or cast judgement on him or Rihanna’s sins of that night? Doesn’t all sins weigh the same in God’s eyes? What do you think? Agree? No? Why? Comment.